The Raiders New Era Black & White Core Classic Knit Hat will be your go-to this fall season! 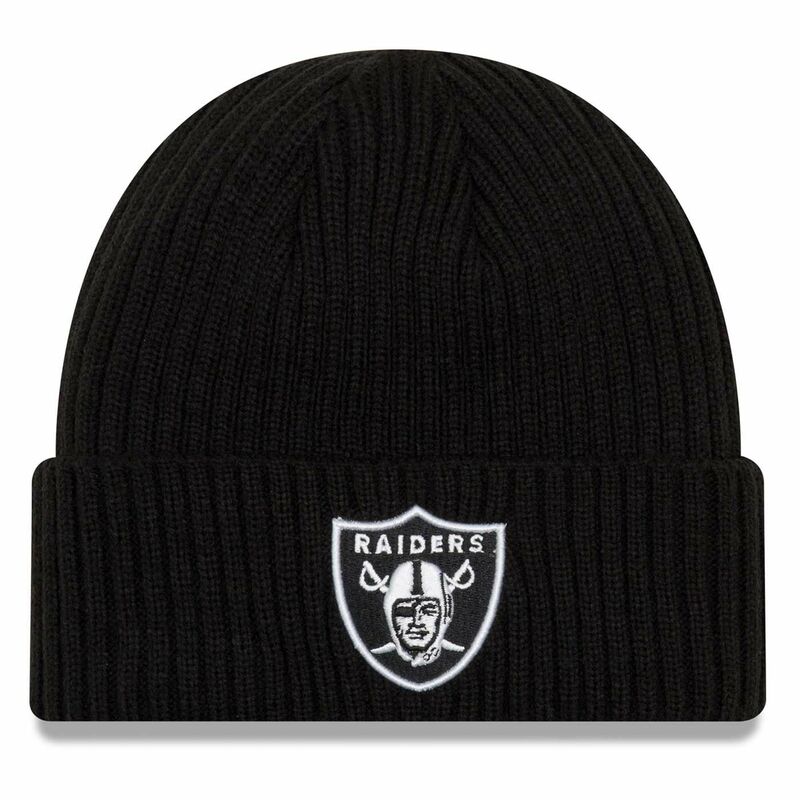 This classic, beanie features an embroidered Raiders� shield logo stitched onto the cuff, and a warm inner lining. Shell: 100% acrylic. Lining: 90% polyester, 10% wool.